Welcome to the Movie Night Giveaway Giveaway! This is a brand new giveaway to help us promote OrderUtility.com. What’s that? It’s a new website that helps you find electric and gas savings, telephone services, digital telephone service, TV services and high speed internet at monthly savings. we’re giving away a big media bundle to a grand prize winner and a DVD copy of GONE WITH THE WIND to a first prize winner. Grand prize and first prize winners will also get a free download of Profit From Sweepstakes worth $7.95 each. Total value of the giveaway is $250, and here’s a pic of the grand prize. 1 portable DVD player made by Audiovox. A DVD TV and movie collection (Hollywoodland, Flatliners, Real Women Have Curves, Gone With the Wind, Wolfman, Hairspray, American Horror Story, Treasure of the Sierra Madre, Get Smart Season 1, The Kid Stays in the Picture, A History of Violence, Swimming With Sharks, Summer Rental, Titanic, Helen Mirren at the BBC, Sunset Boulevard and Citizen Kane). It’s a BIG collection, with something for everyone. Open to those 18+ in the US and Canada. All entries go into the Rafflecopter widget. Did you know that energy services, cable Television and Internet services are being deregulated in many states of the USA? There are new companies entering the energy and services marketplace, making it more competitive. Competition between utility companies can help you save money on utility services you use every day. If you’re paying too much, maybe it’s time to change your gas and electric company. Check out the site today to see how much you can save on gas service and order electric services. Save on natural gas by choosing a new supplier or low cost energy plans. Find check out digital TV plans and get a better deal. You can choose multiple services to receive multiple gift certificates. Credit check may be required, and there may be a 24-48 hour lag before account approval. After you have purchased a service, email takeoutic[ at ] gmail [ dot] com for processing. To get started, visit OrderUtility.com to search for utilities and find a better utility service plan. 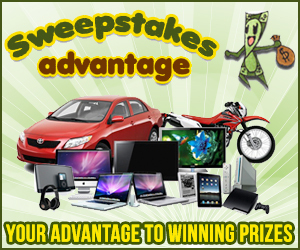 Enter the sweepstakes by using the rafflecopter below. Thanks to the other bloggers and cohosts for their participation. *After 45 days of participation. DISCLOSURE: Participating bloggers are not responsible for prize fulfillment. No bloggers participating in this giveaway received monetary compensation. We’ve had DirecTV for years…and we really like it. My hubby especially likes having all the NFL games during football season.